Join us on Sunday, April 24, from 3:00 PM – 5:00 PM for a journey inside the exciting world of aviation art with the debut of a brand new book showing all the steps involved in the making of major world-class paintings. 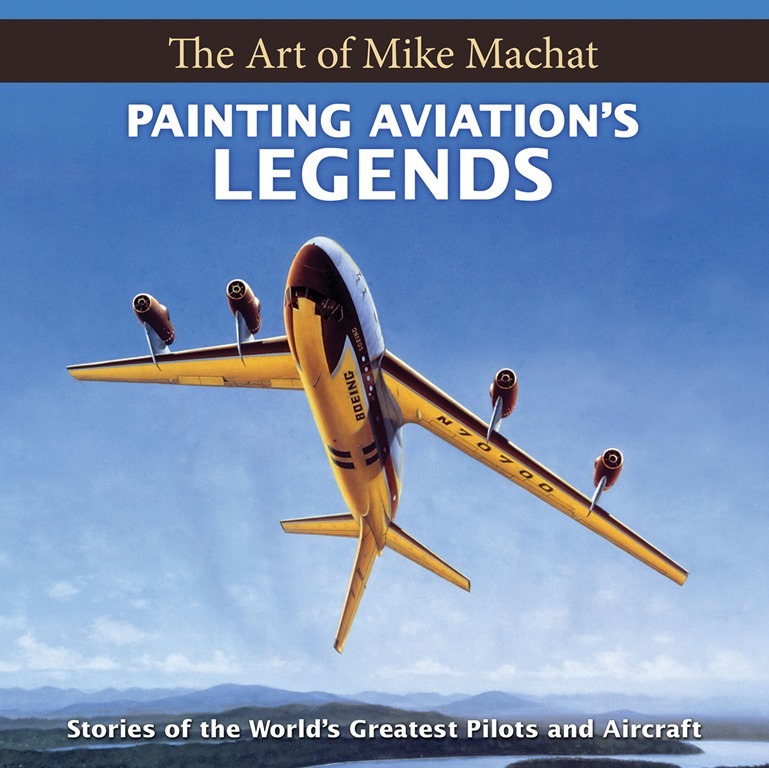 From working with legendary pilots to flying in exotic high-performance aircraft, aviation artist, author, and historian Mike Machat shows the reader the entire process of researching and producing aviation art. Mike will share his deeply personal story with Museum visitors, and will then personally autograph and inscribe copies of his new 10”x 10” coffee table book lavishly illustrated with 60 original paintings and more than 250 photos. The careers of 30 internationally-known pilots and aviation personalities are highlighted with stories in their own words, including Scott Crossfield, Joe Engel, Pete Everest, Fitz Fulton, and Chuck Yeager. Flights in the T-38 Talon, Douglas A-4 Skyhawk, F-14 Tomcat, B-1B Lancer, and Concorde, are shown also. Mike’s paintings are all covered in this 192-page book in ways never-before seen. From the first rough “back-of-the-napkin” sketch through highly detailed engineering drawings and final artwork, Mike’s projects are colorfully documented for the reader. The story of his “Fly DOUGLAS!” and “Fly NAVY!” murals painted exclusively for the Museum of Flying are told in vivid detail as well. Books will be available for sale in the Museum Store.